Land Rover Little Rock is a part of an automotive dealership group located in Arkansas and Louisiana that represents Land Rover. Beginning in Alexandria, LA, John Murphy and Lee Owens formed a partnership. Owens and Murphy expanded their holdings in 2004 to purchase a Land Rover dealership in Little Rock, AR. Owens Murphy is dedicated to providing an OUTSTANDING ownership experience from sales to service. In fact, Owens Murphy would like to develop long lasting relationships with our customers and guests by providing extraordinary service. Get the service and the maintenance that you need for your Land Rover at Land Rover Little Rock. We can take care of everything for you. From simple oil changes to complicated engine and electrical system work. Our certified technicians know how to handle any problem that may come up. They have years of experience working with Land Rover models, and they know how to service and work with the latest in Land Rover technology. We can take care of your Land Rover in Arkansas. Let us get to work for you. If you need parts for your Land Rover, then our team can help you out. We have a great inventory of Land Rover parts right here in Little Rock. We maintain this inventory so that when you need a part you can get it fast. Even if we have to order it for you, we can still ensure that you get it right away. At Land Rover Little Rock, we work with genuine OEM parts, so that you can recapture the same great quality that your Land Rover was made with. Our service team can install that part for you too. This way, you don’t have to go through the hassle yourself. 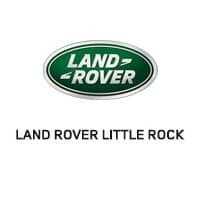 If you are looking for parts or service for your Land Rover, then Land Rover Little Rock is the service center you need.